Whether you’re packing a blazer for a business trip or a cocktail dress for a destination wedding, the last thing you want to find upon opening your suitcase is a pile of wrinkly clothes. For a fast fix to this often-inevitable dilemma, bring along a trusty travel steamer. Much easier than setting up the hotel’s ironing board, a portable steamer smoothes wrinkles and creases in no time, while also freshening up your clothes. 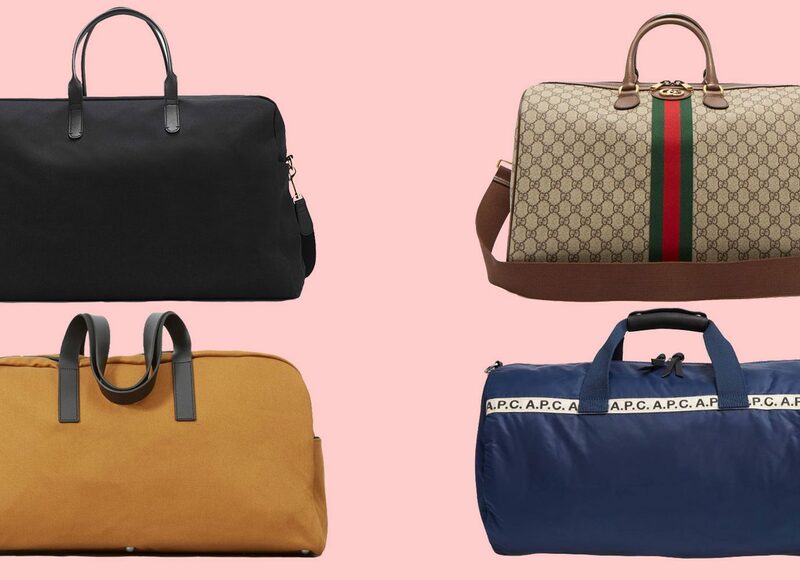 Shop our picks below, and add one to your packing list, pronto. 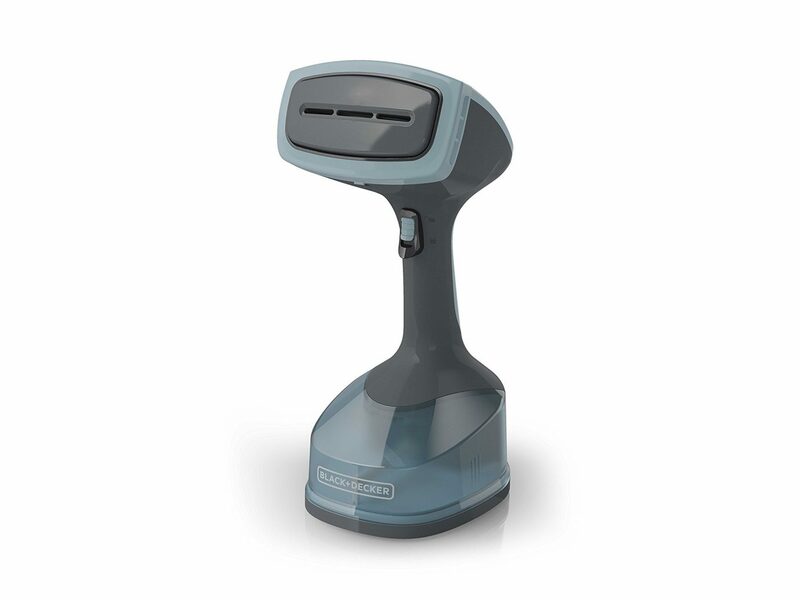 The PurSteam Elite is a best-seller on Amazon, and it’s easy to see why. As one of the smallest and lightest options on the market, this steamer is a go-to for frequent travelers—plus, it comes with a travel pouch for convenient packing. 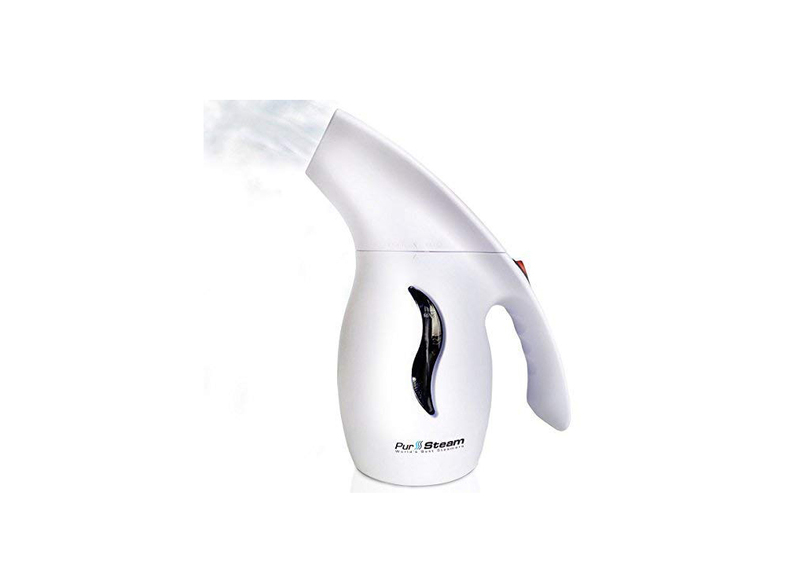 While it only has one steam setting, it’s simple to use and suitable for all types of clothes. 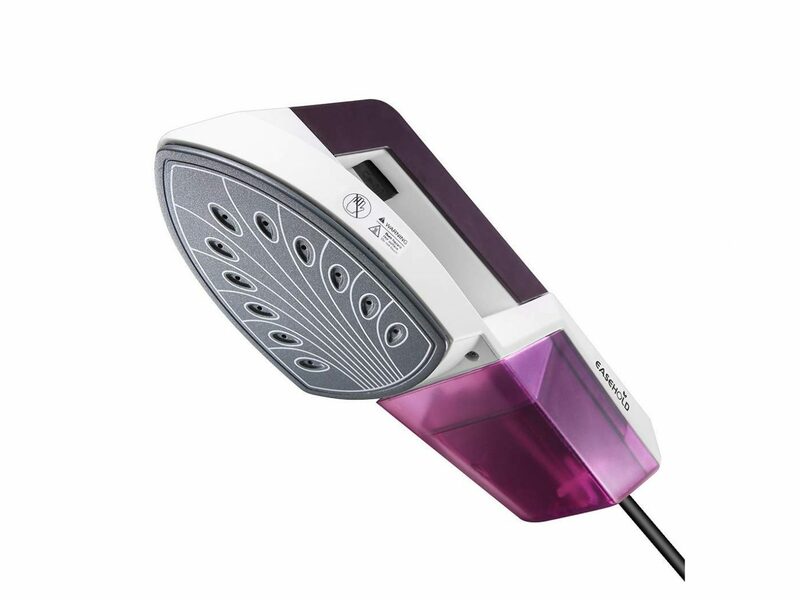 At 900 watts, the steam is ready to go in under a minute and gets the job done quickly. Best of all, it has a 3-year warranty and a 30-day satisfaction guarantee—so if you don’t love it, you can return it. This 2-in-1 pick from Easehold gives you the choice to either steam vertically or use horizontally as a dry iron with its ceramic plate. If you have extra-wrinkled clothes or need to make creases, the iron functionality will be a much-appreciated bonus. 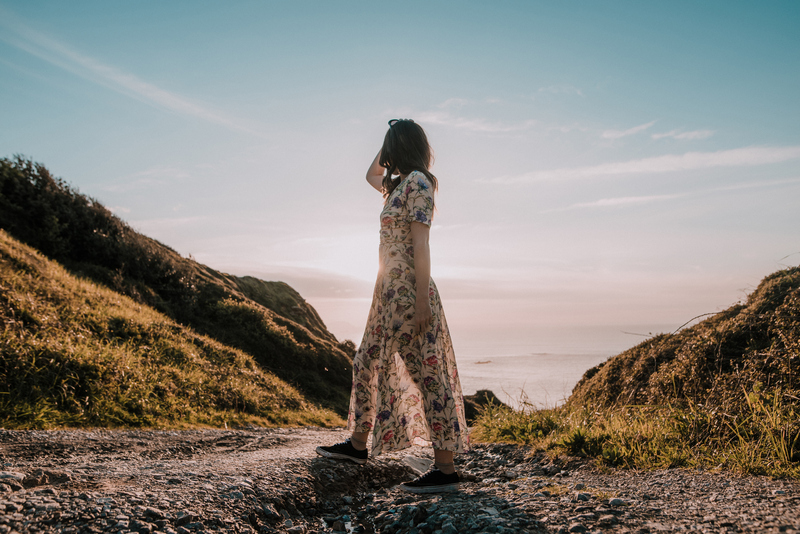 The caveat is that you’ll need to use it with an ironing board for the latter option, so it might not be feasible for all travel accommodations. Trusted brand BLACK+DECKER offers a high-performance advanced steamer for those wanting a fancier device. With continuous and burst steam control settings, 1400 watts of power, a preheat time of under a minute, a 15-foot cord, and three attachments for delicates, upholstery, and lint, this selection seems like a no-brainer. The only downside is that it’s a little bigger and lot heavier than other models, making it less ideal for folks who like to travel lightly. 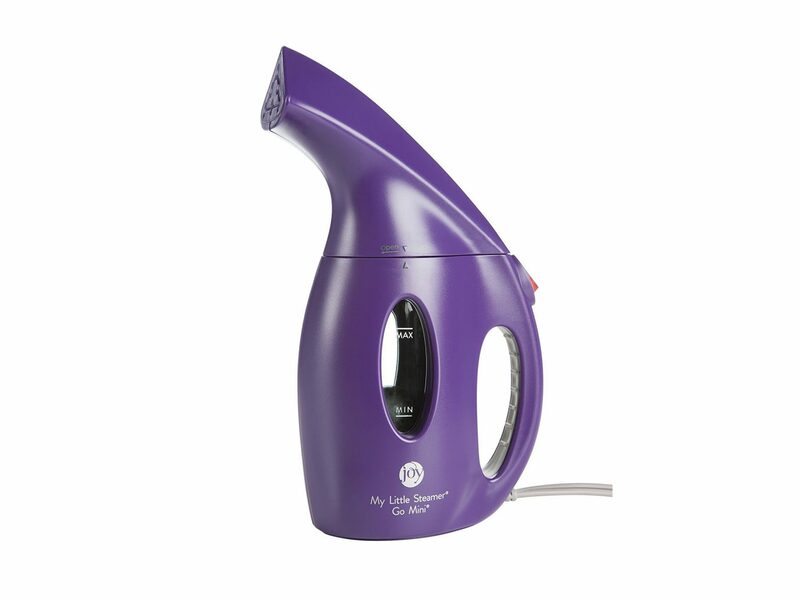 Joy Mangano’s My Little Steamer is the cutest one on the market (even the name is adorable!) with bright color choices and a triangular head. But aside from its style, this baby’s also got serious steaming chops. It delivers 900 watts of power in a super tiny size—it’s only about 3 inches wide, a little over a foot tall, and 1.12 pounds. Plus, its shape and comfort grip handle make it painless to hold and use. All-in-all, the iSteam is your quintessential no-frills-but-doesn’t-need-any travel steamer. Top-rated and among Amazon’s recommended products, it heats in 60 seconds, allows for up to 10 minutes of continuous steaming, has an easy-fill water tank, includes automatic shut-off for safety protection, and is small and lightweight for portability. 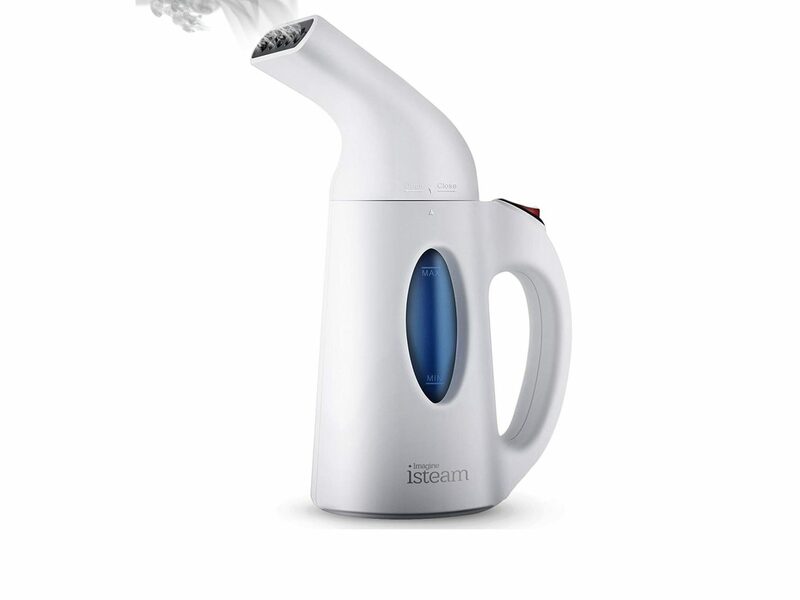 The iSteam doesn’t boast any fancy settings or attachments, but if you’re just looking for a steamer that, well, steams...this is a solid pick. For some serious steaming, turn to the Sunbeam. 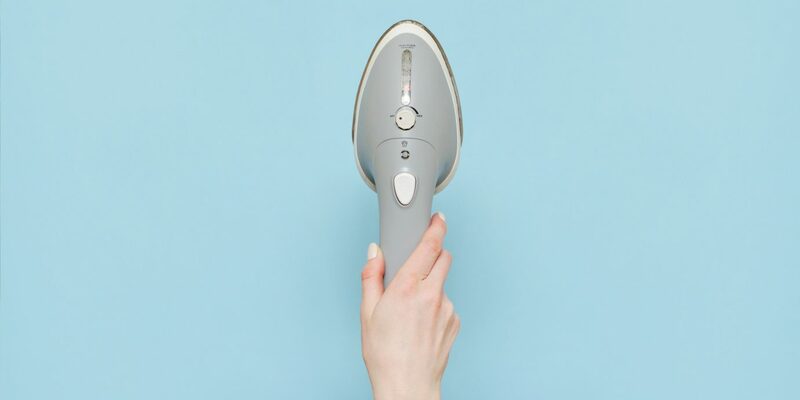 It heats extra fast (in under 45 seconds), steams continuously for extra long (up to 15 minutes), and removes wrinkles extra effectively (with an average of 45 percent more steam output per minute than its competitors). 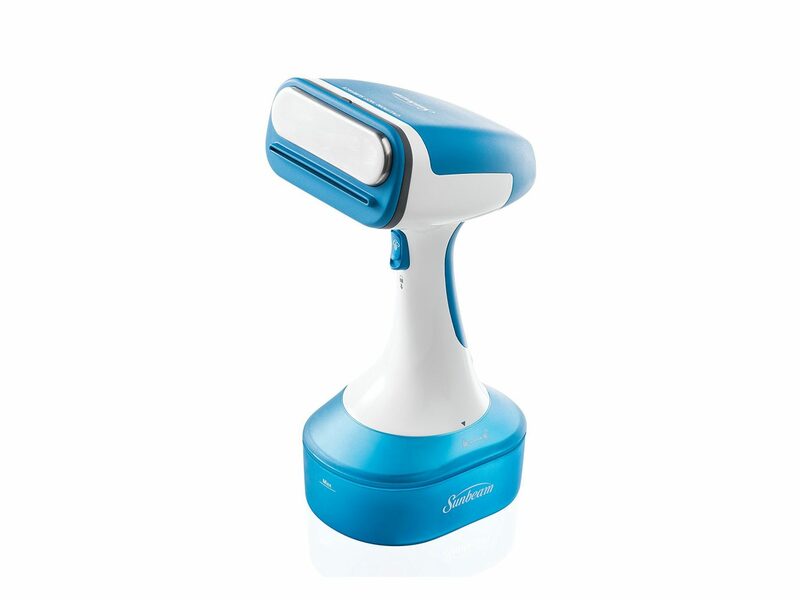 It even has a heated wide wrinkle remover bar on its head for effortless pressing. 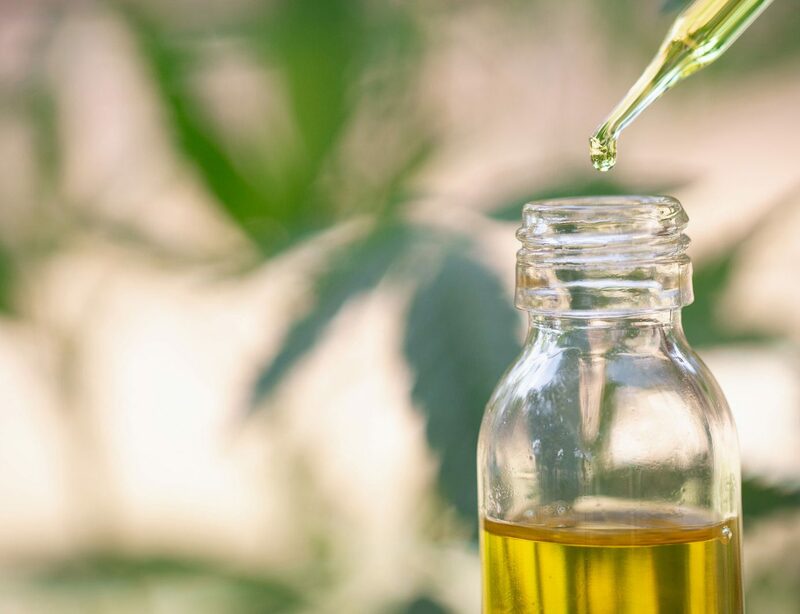 While it is bigger and heavier than most, and you have to pay separately for its attachments, this one might be worth it for those who value the highest quality product. 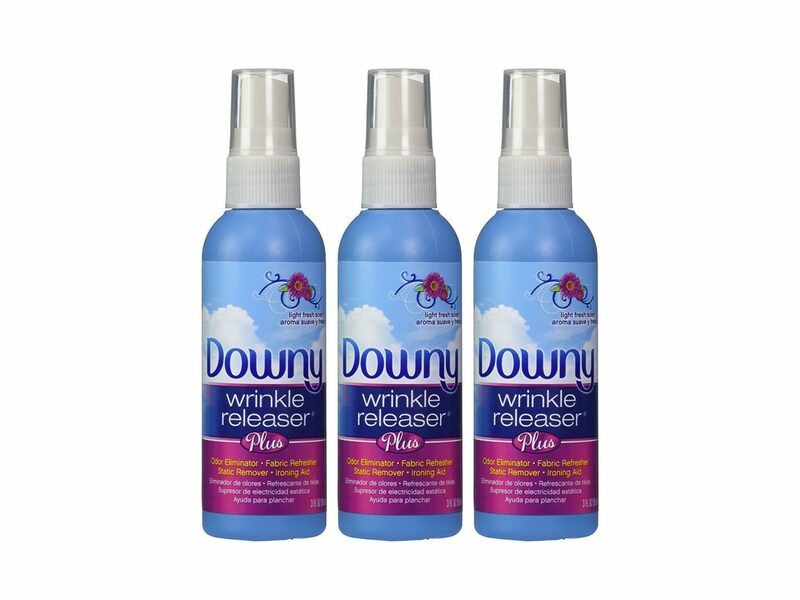 No matter which steamer you go with, you’ll want to pack some wrinkle releaser spray for optimal results. We love this odor-eliminating one from Downy, which comes in the TSA-approved 3-oz. travel size. Just give your clothes a spray, start the steamer, and you’ll be wrinkle-free all vacation long.